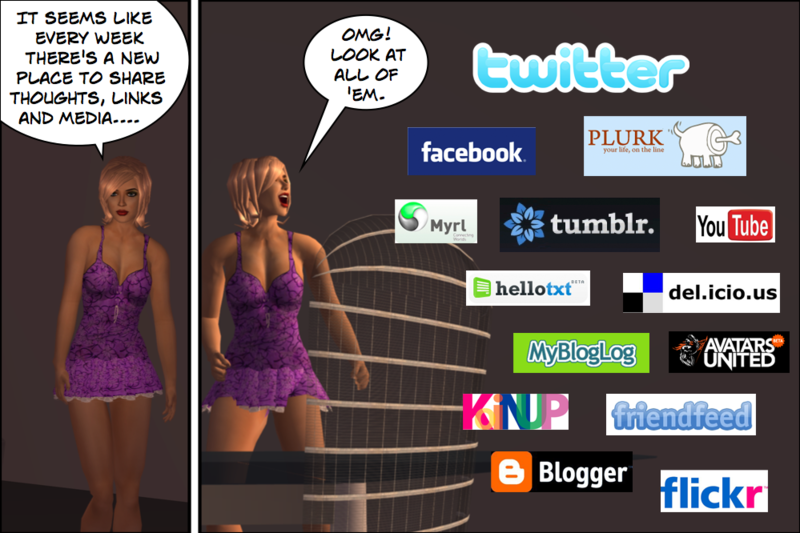 Here's a preview of the first few pages of a comic series starting next week that will sum up my weeks of digital navel gazing on social sharing. Should be pretty fun and hopefully of some practical value. Next Week: Issue 1 "Diagnosing Post-Dramatic Share Disorder"
I gave her a yelp and a plurk. We started im-ing at work.